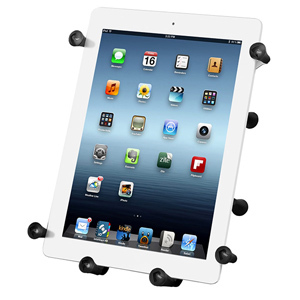 Looking for the perfect iPad mount? RAM Mounts are backed with a lifetime warranty and offer the most secure option for your tablet. 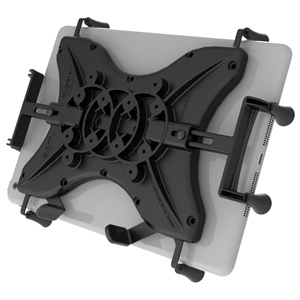 RAM has a huge range of options for iPad cradle and mount setups ranging from custom form-fitting cradles to universal cradles that can cope with many different tablet brands. 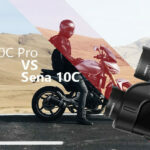 The best option for an iPad Pro 10.5” (without case) is the RAM Holder iPad Pro 10.5 (RAM-HOL-AP22U). This is a custom cradle designed specifically for this model iPad and holds it snugly while leaving the bottom open for it to be plugged in and powered. There are also powered skins and docks options for iPad mounts. 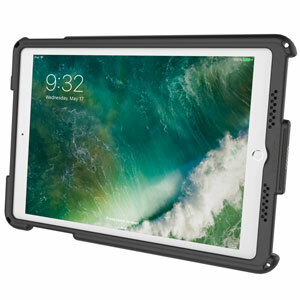 The RAM IntelliSkin iPad Pro 10.5 (RAM-GDS-SKIN-AP16) is also a form-fitting RAM cradle designed for the Apple iPad Pro 10.5" (without case). This Intelliskin case is paired with the GDS dock - RAM IntelliSkin iPad Pro 10.5 (RAM-GDS-SKIN-AP16) which will keep your device powered and fully charged. 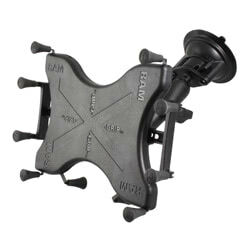 RAM has also produced a universal tablet cradle for 10.5” inch tablets RAM X-Grip III Tablet Cradle (RAM-HOL-UN9U). The RAM X-grip allows for a huge range of compatible tablets and the maximum dimensions which I’ll list below. If your tablet is within the dimensions listed, it will fit with the X-grip III. 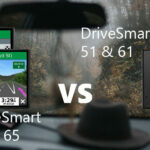 Now that you’ve picked your compatible cradle you need to decide on how and where you want to have the iPad mounted in your vehicle. 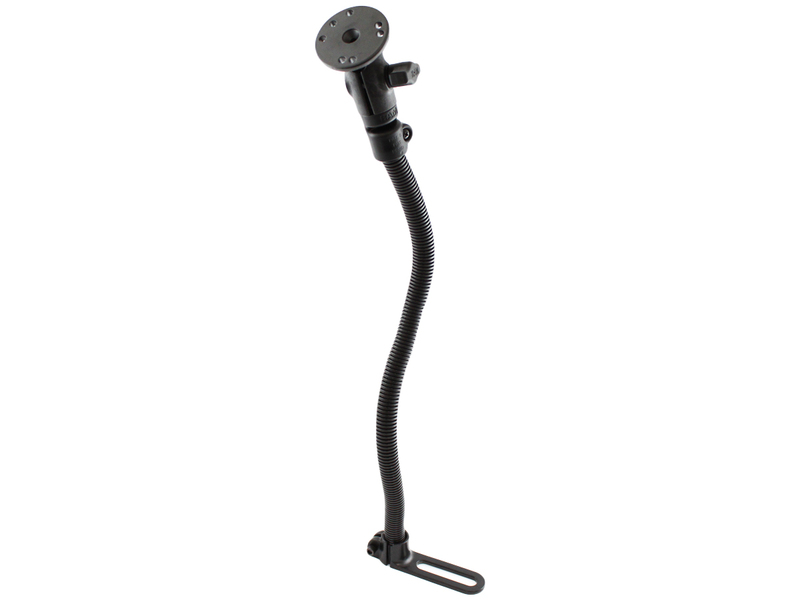 There is a considerable range of options from suction mounts, screw mounts and floor mounts. Double or Triple suction mounts are recommended for temporary or removable setups as they can bear the tablet weight much better. 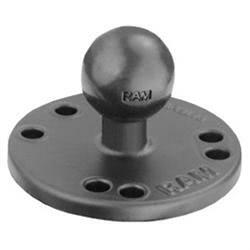 The RAM locking B suction metal Plate is a sturdy suction cup designed primarily for smaller tablet devices (iPad mini), phones or most GPS devices. 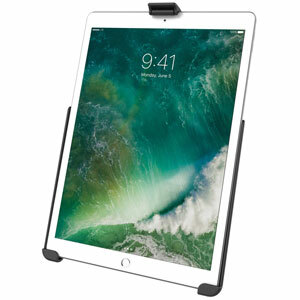 The RAM Double Suction Flat Plate is an excellent option for larger sized tablets like the iPad Pro 10.5" or most 10" tablets. 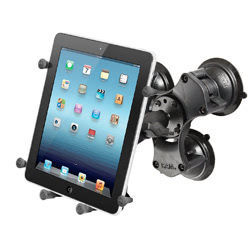 The RAM Triple Suction Cup Mount is the most secure suction mount available and is perfect for large-sized tablets. 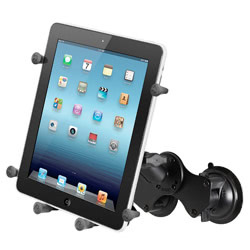 These suction mounts are the best base mount options for your tablet they just need to be coupled with 2 screw mounts (One base mount to the suction plate and the other to the back of the X-grip or another cradle) and a matching RAM Clamp arm. 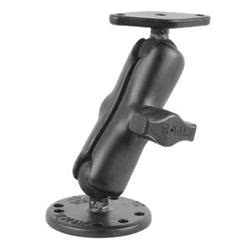 The screw mount options are designed for permanent vehicle mounting solutions. 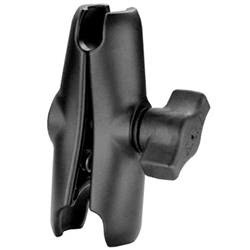 The RAM Standard Arm Diamond Plate set (RAM-B-138U) screw mount is incredibly secure and only requires the one mounting point. 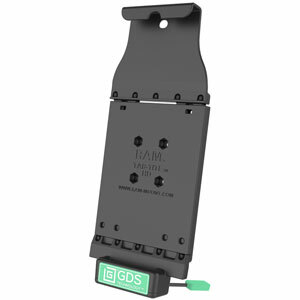 This RAM set includes everything you need (except the cradle) for your tablet car mount solution. 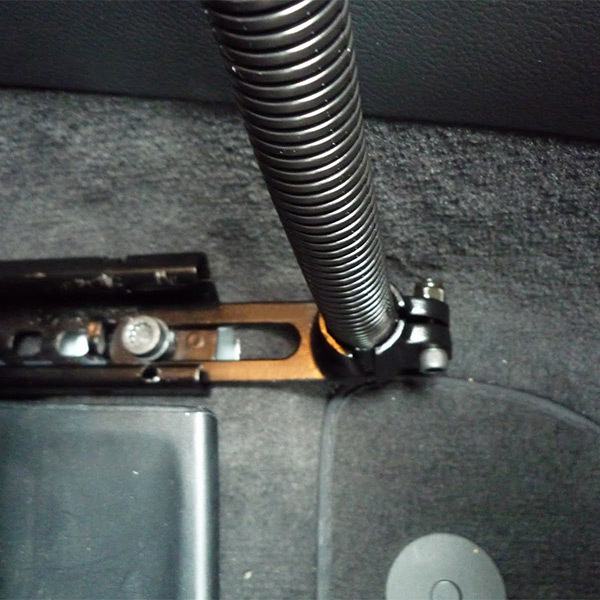 The RAM floor mount is an easy solution that mounts onto the bottom of your car using your seat screws (as shown below). The mount itself comes with the base mount needed to join to the RAM cradle and is adjustable using a 45cm semi-flexible aluminium rod.